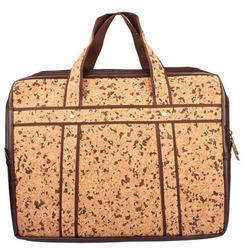 Exporter of a wide range of products which include cork laptop carry bag, cork laptop sling bags, cork laptop bag and cork laptop bags. To meet the ever-changing requirements of our clients, we are offering a quality proven assortment of Cork Laptop Carry Bag to the clients. These products are widely demanded amongst the clients for its wide use and optimum performance. Moreover, these are designed by using quality material in compliance with the industry quality standards with the help of a team of skilled professionals. 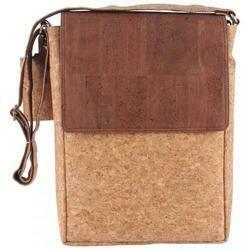 With a vast knowledge of this field, we are offering an excellent collection of Cork Laptop Sling Bags to our respected clients. Our offered products are precisely manufactured by experienced professionals using the quality approved raw material and contemporary techniques in compliance with industry defined norms and standards. Moreover, the offered products are obtainable in various sizes as per the needs of our patrons. 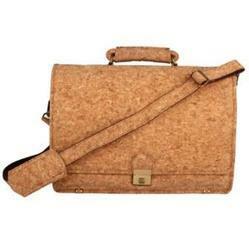 Fits laptops up to size 13"
Our vast array of products comprises the high qualitative range of Cork Laptop Bag. Offered products are available to clients as per the set industrial quality standards keeping in mind the client’s diverse specifications. Apart from this, these products are offered to clients in multiple length and designs at nominal prices. Fits laptops up to size 12"
We are comprehensively presenting an unparalleled assortment of Cork Laptop Bag 13 to our valued customers. The offered products require minimal maintenance due to which the demands of these are increasing across the market day by day. Moreover, these products are manufactured from finest quality granulated cork and innovative technology as per the predefined values. Our clients can get these products from us at budget-friendly prices. We are one of the affluent names in the industry actively involved in offering an excellent quality assortment of Cork Laptop Bags to the clients. 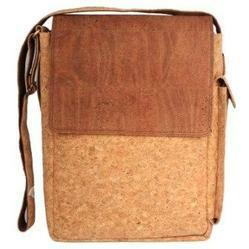 This bag is designed by using finest quality material and progressive technology following the laid industry standards. To ensure its superior quality, this bag is rigorously tested on various quality norms by the quality controllers. Fits laptops up to size 16"
slightly in their color and grain. 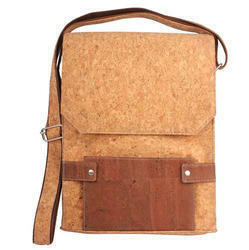 Looking for Cork Mens Laptop Bags ?